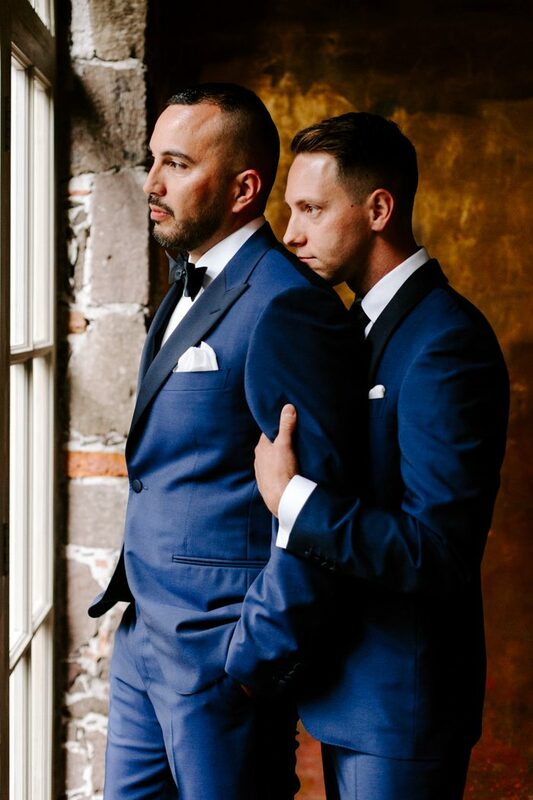 Rob and Jake’s wedding at Terraza Trinitate in San Miguel was bursting with vivid colors and festive vibes, all set against the backdrop of old world Mexican charm. 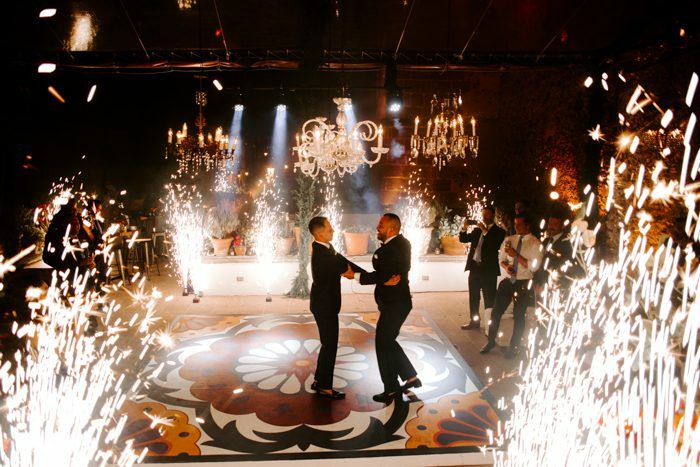 Everything was done with perfect style and impeccable taste, let’s take a look! 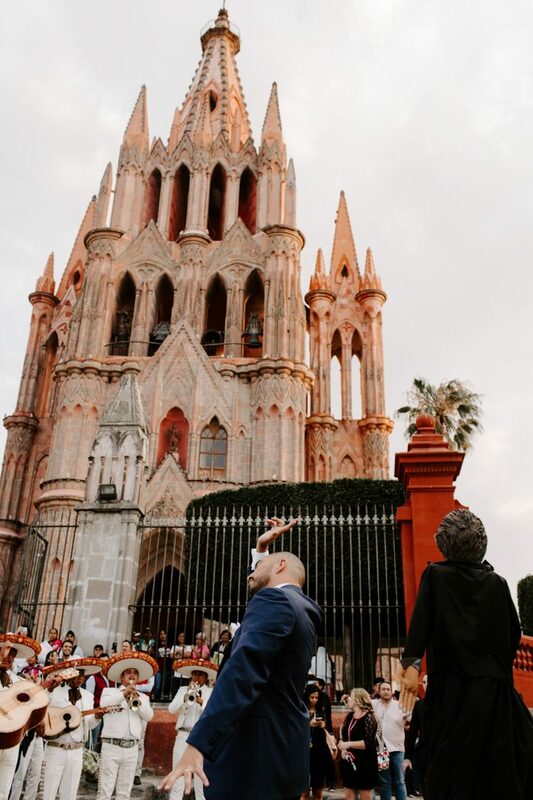 The couple exchanged vows in the courtyard of Casa Tortugas and then danced through the streets with their friends, family, and a Mariachi band as they made their way to the reception venue. 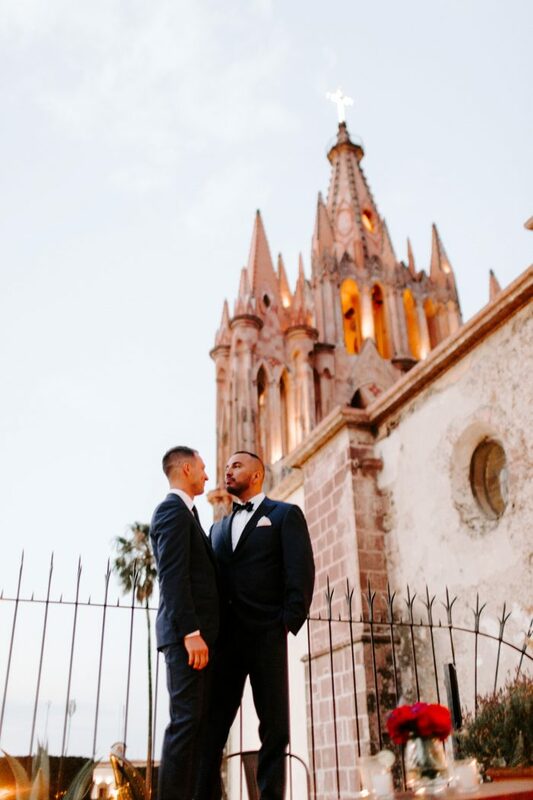 The planning team at San Miguel Weddings honed in on Rob and Jake’s impeccable style and combined that with the vibrancy of Mexican culture to create a visually stunning design that was glamorous, festive, and totally unique. 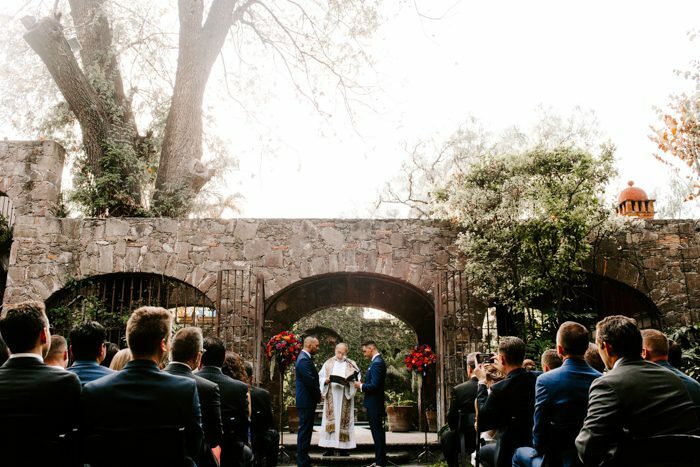 The ceremony space was an antique arch with bright floral topiaries on both sides. 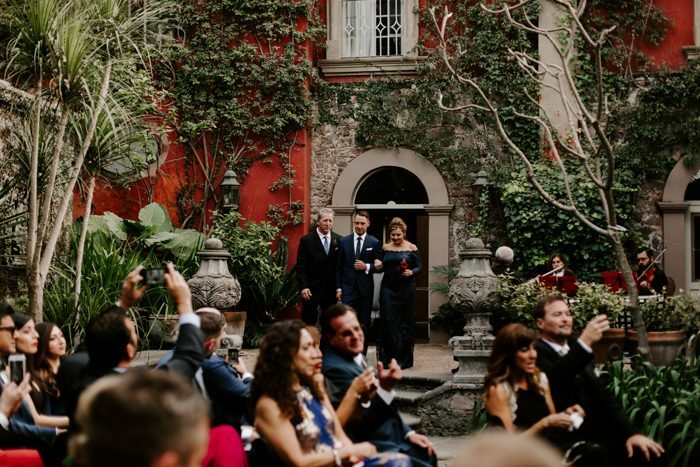 After the ceremony the guests were served with drinks and everyone went outside for enjoying a mariachi band singing. 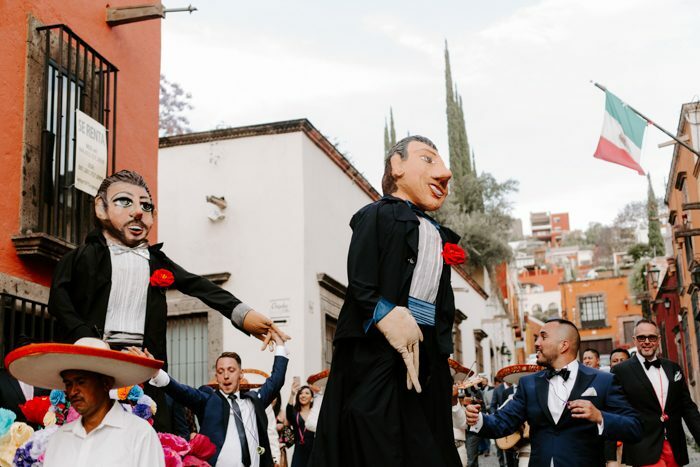 Look at the fun puppets that imitate the grooms and at all the people – the weddings looks like a carnival! 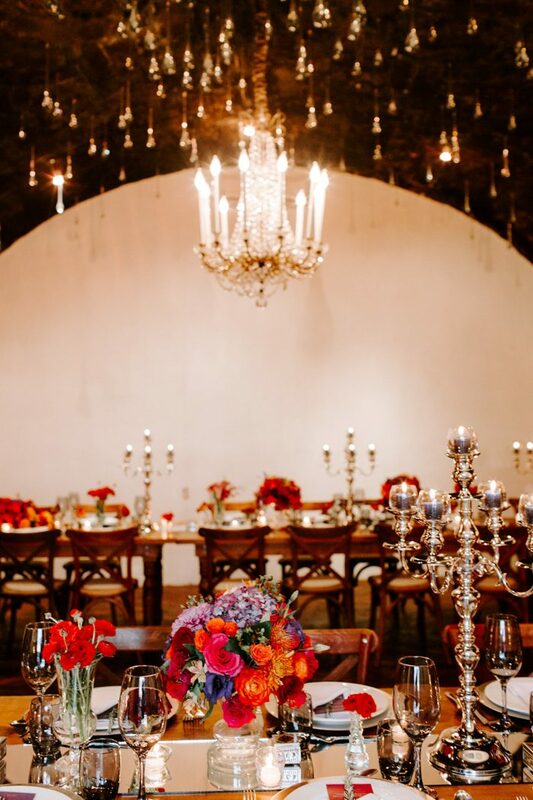 The wedding tablescapes were done with bold and bright blooms, with a mirror table runner and colored glasses. 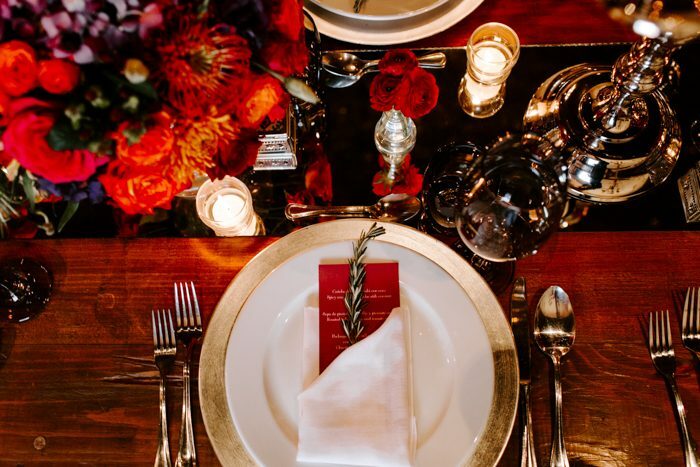 Gold touches made the table settings more refined and luxurious. 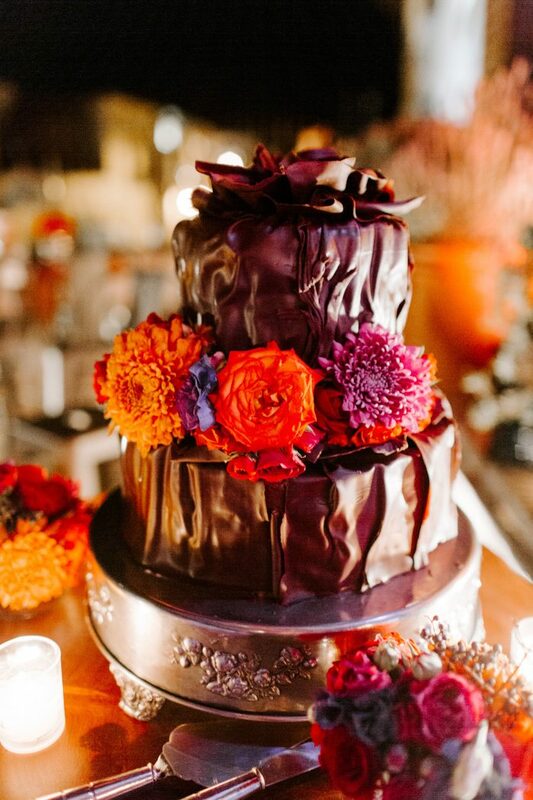 The wedding cake was a chocolate one topped with fresh blooms. 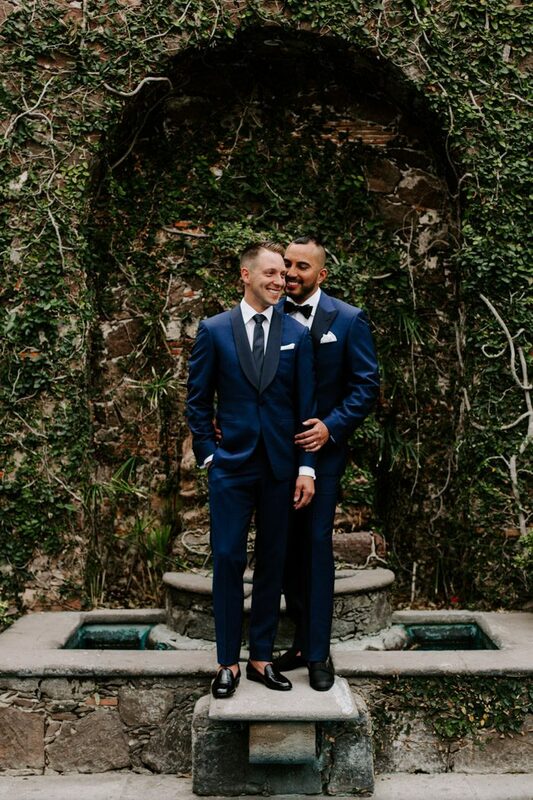 Both grooms were wearing navy tuxedos with black lapels, one of them preferred a bow tie, the second was wearing a tie and black moccasins. 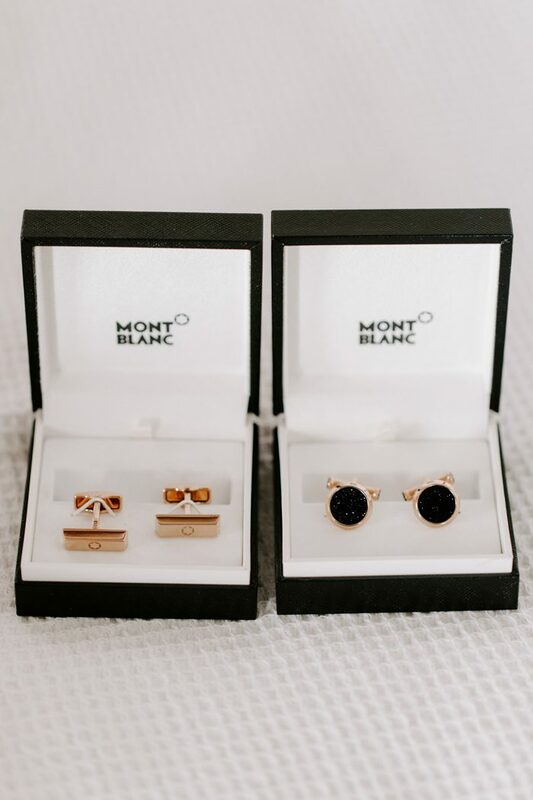 Each groom was wearing personalized cufflinks. Feel the cheers of the wedding and enjoy bright colors with a refined feel looking at the pics below!